An easy drive from Verona, Lake Garda is the largest of Italy’s lakes, fringed by rugged mountains, tranquil fishing villages, and the fragrant undulations of olive groves, grapevines and citrus trees. 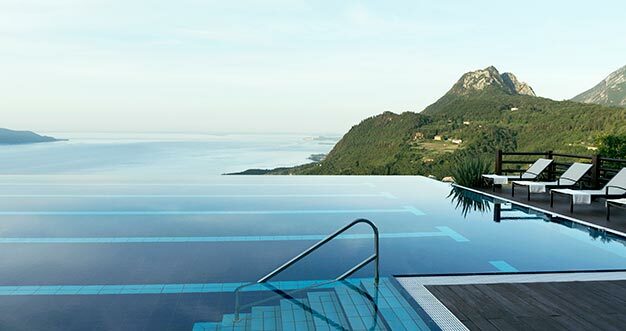 Opened in 2008, Lefay Resort and Spa was purpose-built with strong sustainability credentials (think renewable energy sources and recycled rainwater) in harmony with its natural surroundings. 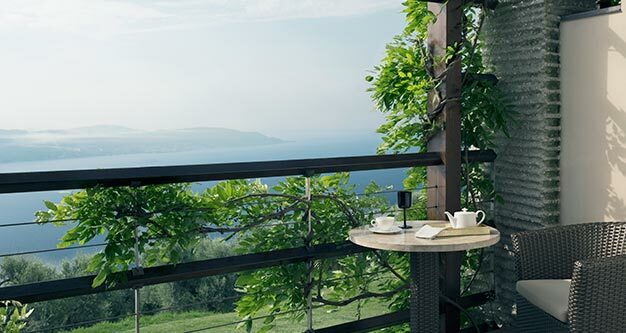 Lefay is a 93-suite eco-resort and spa perched high on a hillside amid a 27-acre nature park overlooking the lake’s western shores. The pillared architecture is inspired by the local limonaia (terraced lemon gardens), while a clever use of glass allows relaxation spaces to stream with natural light, showcasing that glorious view. We were relieved to find that our suite -- decked out in local olive wood and Verona marble -- felt neither sterile nor unnervingly ostentatious – luxury at Lefay appears to be measured by subtler pleasures like nature, space and silence. We began by unwinding in the spa’s sauna complex. Each of the five cabins has its own decorative charisma: one kitted out with Gaudí-esque mosaics, another fashioned from rustic olive-wood panelling. In a moment of heat-induced bravery, we plunged into the ice pool – meant to stimulate blood flow and metabolism – then recovered on a comfy waterbed in a candle-lit relaxation grotto. Given the no-swimsuit spa rule, some visitors may feel more comfortable in the ladies-only sauna which adjoins a Moroccan-style hammam and an exotic lounge draped in rich fabrics. Forgoing the well-equipped fitness room, we were enamoured by the two outdoor infinity pools. The first is petite and deliciously steamy, complete with a neighbouring whirlpool; the second full-length and flanked by a naughty-but-nice cocktail bar, so you can lounge poolside, sip something sparkling, and admire the spectacular views. It’s pure dolce vita. Another unusual attribute is Lefay’s focus on Traditional Chinese Medicine (TCM) which -- coupled with Western scientific research -- underpins the treatment packages. Programmes range from three to five days to either enhance general health or target specific concerns like insomnia, stress or weight. Don’t expect a punishing approach or overnight metamorphosis – Lefay’s mantra is all about restorative therapy for long-lasting rejuvenation. One-off treatments can also be chosen from an overwhelmingly long list that includes wraps, scrubs, physiotherapy and osteopathy, and employs various healing systems from Ayurveda to thalassotherapy. 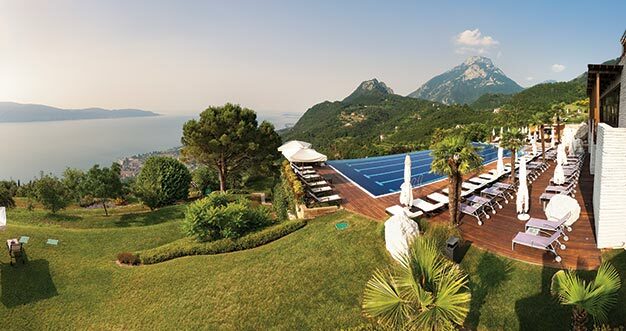 We experienced an abridged version of the Lefay Spa Discovery package which involves an integrated set of treatments aimed at rebalancing mind and body. It began with an initial consultation with one of Lefay’s resident doctors, Giacomo, who presented his deep knowledge of TCM with endearing Italian aplomb. Together, we discussed my health in holistic terms – sleeping patterns, digestion and mood – which helped Giacomo gauge variations in my energy levels. After pressing acupuncture points down my back, I learned that, as per Chinese medicine, my element was ‘wood’ – an energy linked to spring. “You’re at an impulsive time of your life,” Giacomo told me. 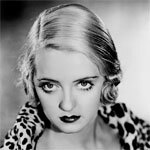 He prescribed a massage called ‘scambionelvento’ (change in the wind) to help sooth my whirlwind emotions to something of a gentle breeze. The massage was one of the most soothing I’ve ever experienced, with the atmosphere enhancing my zen state -- all natural green light, string-plucking music and rosemary aromas. Using Lefay’s organic body olive oil, my therapist concentrated on the tensions in my neck and head before focusing on specific energy lines -- known as meridians -- with the utmost care and attention. Once finished, he opened the blind to reveal inspiring views of the garden and lake. 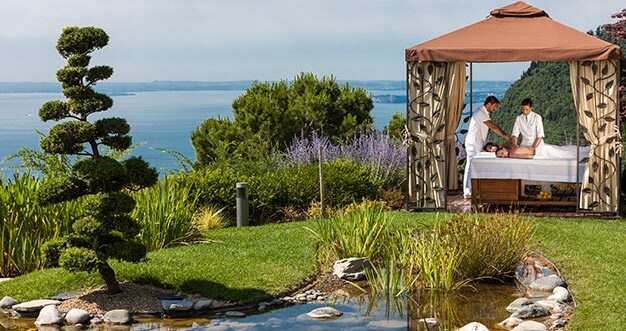 Lefay’s treatments encourage a deeper awareness of the natural rhythms of your body. My usual exercise routine is in short, intense bursts -- by contrast there was nothing punishing about my session of Qi Gong (a physical practice combining posture, breathing and stretching) which was all about working slowly to renew energy meditatively. “Look at nature; healthy plants are strong yet flexible -- old wood is hard but breaks easily,” Giacomo said. Such a bespoke approach ensures guests experience Lefay differently: rebalancing energy flow may involve acupuncture, moxibustion, cupping or different variations of body and facial massage. The effect is something uniquely grounding and restorative that guests will leave with a source to draw upon when life gets demanding. While some detox spas are rigorous in their no alcohol, no carb (and no fun) policies, Lefay allows for a bit more indulgence. Here, it’s a positive and appreciative relationship with food that’s encouraged, and menus championing the traditional Mediterranean diet with a spotlight on locally-sourced, ethically-produced and veg-heavy deliciousness. Evening meals take place in La Grande Limonaia -- a smart restaurant complete with its own lemon trees. Those on the diet-orientated programme can choose from the calorie-controlled light menu which boasts plenty of vegan and vegetarian options. Otherwise, the à la carte menu offers home-made pastas and fabulous seafood dishes drizzled in Lefay’s own organic olive oil, best when followed by an endorphin-releasing dessert. Come morning, breakfast brings an array of fruits and yoghurts, make-your-own juices, nutty granola and homemade pastries. Lunch is served in the more casual brasserie, Trattoria La Vigna, offering a delicious buffet of salads, local cheeses and cold meats. During my midweek visit, I was among an international bunch of Italians, Germans, Brits and Russians. There were young couples on romantic breaks (drawn in by the private couples’ spa) and some children who are welcome in the family suites. 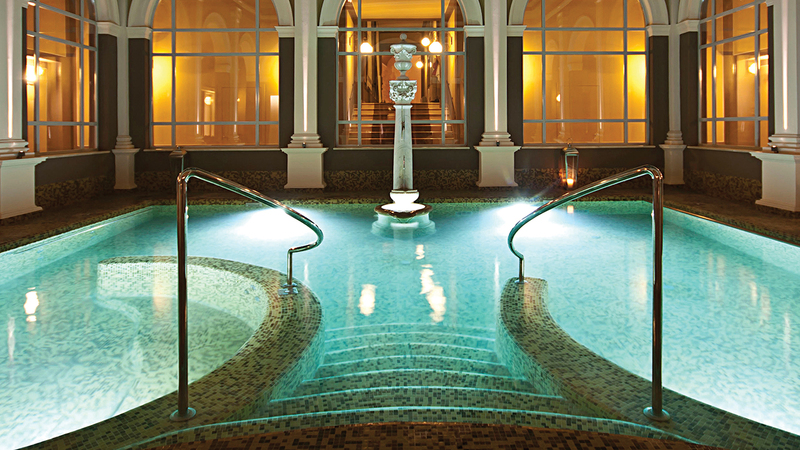 Anyone interested in alternative therapy will find their fill at Lefay. A stint in the ‘Salt Lake': A darkened, stony lair that can be booked for private, undisturbed periods to float around in its muscle-warming, saline waters under a giant moon-shaped lampshade. It’s ethereal and atmospheric. Take a holistic walk through Lefay’s therapeutic garden, featuring five meditation areas associated with different seasons and stages of life There’s also a fitness path and a running track for those who favour a faster pace of living.